More than a year ago, Square Enix revealed there won’t be any Moogles in Final Fantasy XV. A large part of the fanbase got quite upset over that, understandably. Today, the company revealed they’ve thought it over more, and decided to include them after all. But not in the way you’d expect them. 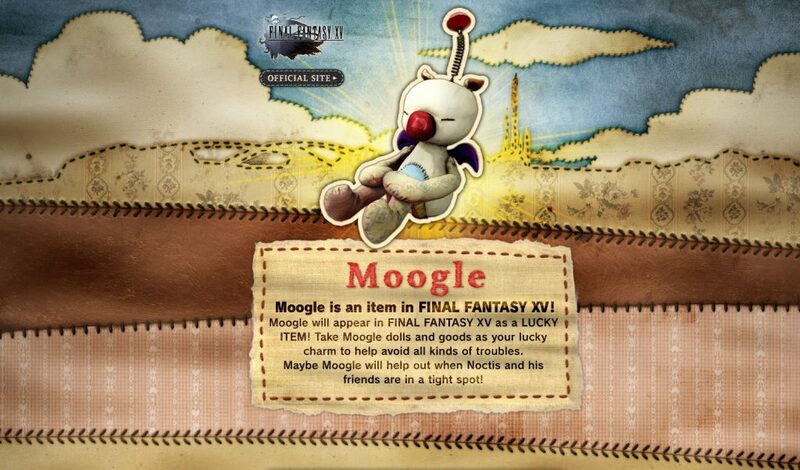 Read on to find out what we know about FFXV Moogles. So the Moogles are going to be used as equipment, but this doesn’t mean there won’t be any actual ones. The last sentence sounds a lot like a real Moogle might appear when things are bad, provided you’re wearing a Moogle charm/doll. Another page popped up at the same time, revealing the Moogle collection.